Today I did something I've never done before. No, not naked Morris Dancing. I went to Blog Camp. 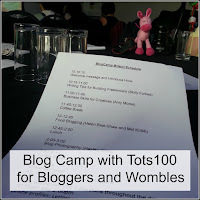 There are a lot of different blog conferences that go on in different parts of the country and I never go, because it always costs a bit, or is too far away. So, when I heard there was one in Bristol, I felt it would be rude not to pop along and see everyone. It's always interesting to hear from other bloggers about what works for them and how they got better at their particular area of blogging. The event was hosted by Tots100 and the most interesting talk was on Freelance Writing, I had no idea how many different ways there were to earn money from words! The food was lovely. The caterers made a real effort and it was all beautifully presented and tasted perfectly homemade. There was a good supply of tea (essential!) and lots of delicious nibbles. We even got scones with jam and clotted cream for afternoon tea. The cupcakes were so pretty and I was pleased to find one with my blog colours on as well. Sadly, I didn't manage to get a good photo of them, before they were all scoffed, so instead, here is a photo of the Lloyds Amphitheatre. The conference took place on the top floor of MShed, which is a fascinating place to visit with children. Click the link to see our recent review. 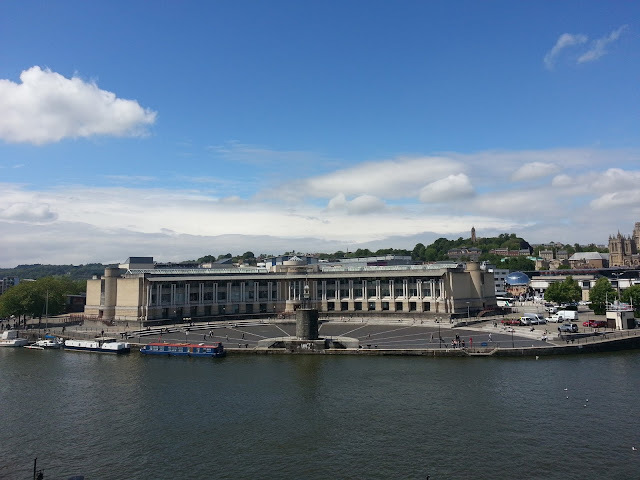 The location is lovely, right on the harbourside, and the best part of being on the top floor was the stunning view! The boats are always fascinating to look at and we also had a fabulous panorama of the city that seemed to stretch for miles. 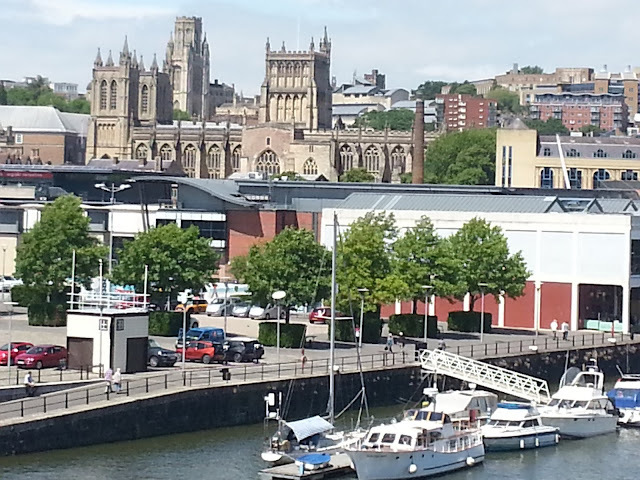 Bristol Cathedral looked stunning in the sunlight. The best bit, though was meeting up with friends, old and new. My lovely friend Mellissa, from Diary of a Jewellery Lover was there, and I finally met Julie from Julie's Notebook, who I've been friends with online for what seems like forever, and made new friends too. Our table was, predictably, the silliest and we all had a lovely time. This is me and Julie in the photo. She is not especially tall, it turns out I'm a Womble. 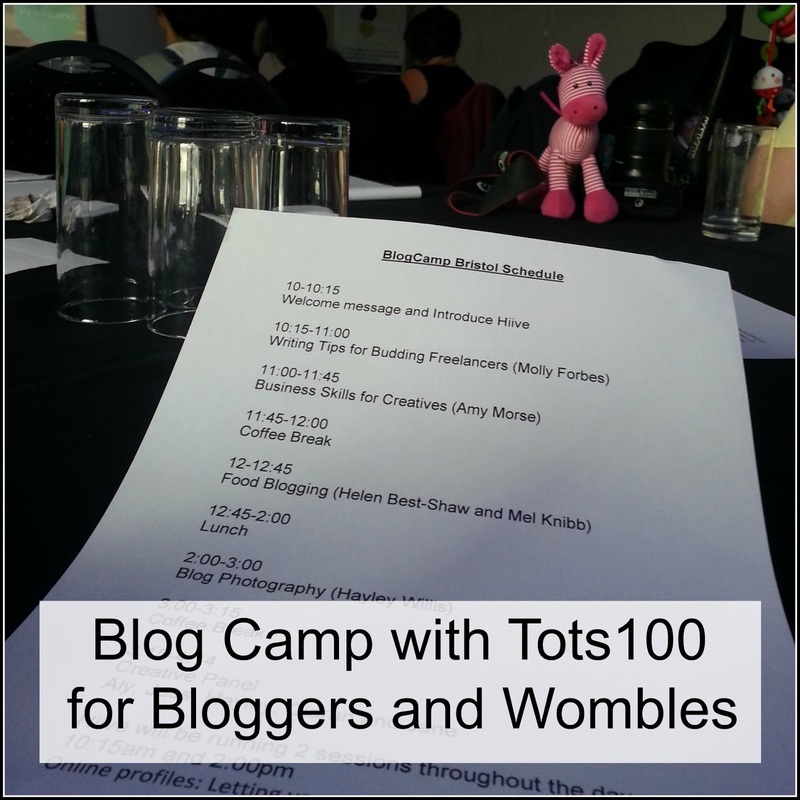 Thanks to Tots100 for hosting the event and making us feel so welcome! Lovely to see you again Lucy! I agree the food was lovely and the sessions were useful especially the photography sessions. So glad you got to go. I hope you learned a lot of new interesting ideas. Someday i'll go to when one comes close enough.